HONG KONG, Nov 5, 2014 - (ACN Newswire) - International Housewares Retail Company Limited ("IH Retail" or the "Group;" stock code: 1373), the largest housewares retail chain in Hong Kong, Singapore and Macau,1 has today announced the official opening of its first retail shop at an MTR station, its 248th retail outlet in Hong Kong. 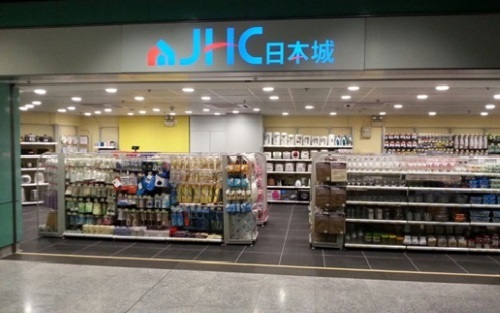 IH Retail's first retail shop along an MTR route map was launched under the brand "Japan Home Centre." Occupying an area of approximately 1,100 sq ft located at the Tuen Mun Siu Hong MTR Station, the shop is predominantly decorated in yellow and blue tones, which presents a creative variation of the easily-recognised Japan Home Centre brand image. Apart from the usual well-received household merchandise, the new outlet also carries the latest products catering for customers with different needs, This wide product choice enables the Group to attract a broader range of customers, enabling them to enjoy the convenience of a "one-stop" shopping experience for quality household products at competitive prices. Mr. Lau Pak Fai Peter, Chairman and Executive Director of IH Retail, said, "We are delighted to introduce the very first retail shop in an MTR station, serving passengers' daily needs for household products. Thanks to its strong renowned quality brand, IH Retail has high flexibility in choosing new store sites anywhere in any size. By tapping the MTR train network, we hope to leverage the heavy traffic in these prime locations to attract a wider range of customers and drive for further growth." "While the economic condition in Hong Kong may be unstable from the fallout from the pro-democracy protests, to date our stores have maintained a satisfactory performance. With more openings of our retail shops along the MTR train route, we believe the Group can further benefit which should enable us to maintain stable growth and profitability in Hong Kong. We are excited about the prospects of opening more new stores in other MTR stations during the near future," Mr. Lau concluded.